Despite a marathon session lasting well into the evening, talks between the State and civil-servant unions yesterday failed to yield any resolution and strike action continues into its fourth day today. Optimism that a resolution to the ongoing pay dispute might be found had grown over the weekend, but hopes were apparently dashed yesterday when talks came to a standstill. The effects of the strike action on the general public has been and continues to be widespread. Over the weekend and yesterday, children and young adults at State treatment centres for behavioural and social problems had to be sent home due to increasing waiting lists. A serious situation developed yesterday at Iceland’s national hospital Landspítali, owing to the absence of some 1,600 members of staff. Bottlenecks occurred in admitting and discharging patients and A&E waiting rooms were full to bursting. 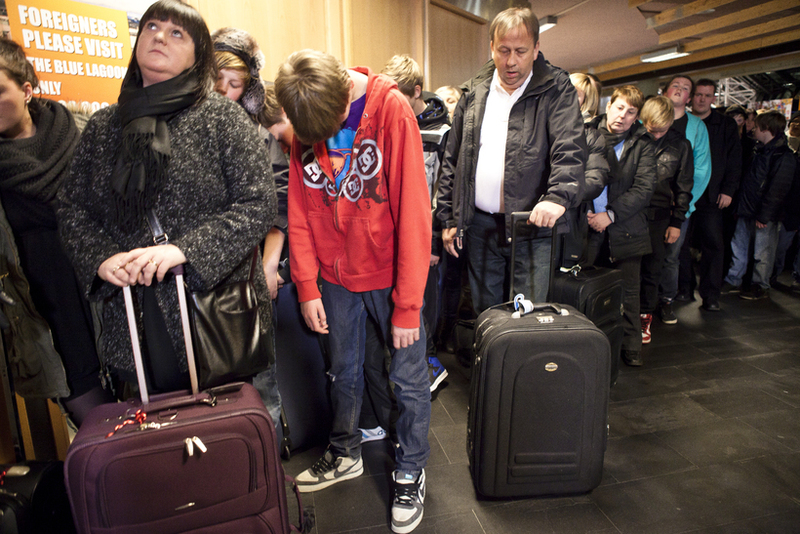 Border officials at Keflavík International Airport (KEF) are also entering their fourth day of strike action and passengers from the UK and USA have been stuck in long queues upon arrival. Delays to international flights are expected.